A rehabilitation centre is a location that offers a safe and therapeutic location over an agreed period of time (which may be extended) and professional or voluntary support in recovering from an addiction. Finding the best centre for an individual means weight up a variety of factors to identify the centre most likely to produce sobriety. It’s important to get as much independent and expert advice as you can, as well as obtaining personal recommendations from others who’ve been to that centre or had a loved one treated there. Finally sit down with a professional assessment of the alcoholic’s needs, a budget, and all the advice you’ve been given and try to pick out the most effective centre for you, or your loved one, given your individual circumstances. Price – can you afford the centre comfortably? Some families take out a loan or overdraft to pay for treatment but this can lead to further problems, especially if a single rehab stay doesn’t do the job. Then there can be resentments about paying for further stays etc. Location – do you intend to visit/have visitors? If so, is the centre easy to get to? Alternatively, if the alcoholic requires isolation and quiet, does the centre’s location offer that? Accommodation (shared or single rooms etc) – some people do better alone, others prefer to be roomed with another person in rehab. Some centres insist on a communal approach to every part of the day, while others have a spiritual focus on silence and solitude. While the alcoholic may express strong preferences, it can sometimes be good to oppose their wishes, putting them in a centre that challenges their comfort in various ways, which can lead to breakthroughs in understanding and ‘break-downs’ in egotistical behaviour which protects the alcoholic from appreciating the consequences of their drinking. Duration of treatment – short sharp shock or long-term behaviour change? There are centres for each type of treatment. Type of treatment offered – is this a stern process or a gentle one, does the alcoholic get to choose from a range of options or is there one system that they have to follow? Centre’s approach to other medical or psychiatric problems – many alcoholics have a complex mix of issues that need to be addressed to prevent a return to alcohol. It’s important to choose a centre that can address all the problems that the alcoholic manifests. Don't be scared to take a list of questions - rehab centres are used to people being uncertain and confused! What Programme(s)Does The Centre Use? It might be a 12-step programme based on AA or a psychiatric programme that’s Jungian, Freudian or family therapy centred. Is there counselling on offer? Does it cost extra? Detox is a physically demanding process that can cause basic symptoms such as nausea, sweating, anxiety and shakes, through to major psychiatric trauma such as hallucinations, suicidal tendencies or blackouts. While many rehab centres have a clinic that provides medication to ease the symptoms, some do not offer any help, believing the alcoholic must experience detox in full to develop a desire never to have to go through it again. Other centres may offer only one form of licensed medication as part of their programme, and a single form of treatment may not work for all alcoholics. What Are Staff Skills And Experiences? It’s important that the alcoholic and family or friends have confidence in the staff – seeing certificates, asking for case studies ore being put in touch with former rehab clients can help you understand how the staff work with those in rehab. What Post-Rehab Care Is Offered? 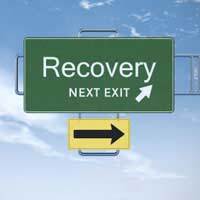 Rehab works while the alcoholic is in the centre but it’s got to continue to work once he or she leaves. Getting good aftercare can make the difference to a successful transition to an alcohol-free future.